After countless pitches and flips, we've come away quite impressed by these tungsten bass fishing weights. First things first: Why use tungsten? Tungsten bass fishing weights have become quite popular in recent years. As opposed to traditional lead weights, tungsten weights are much denser which results in more sensitivity and a compact profile. They allow you to feel slight changes in bottom composition with ease and their small size lets you penetrate heavy cover with much less hassle. While tungsten may cost a bit more, I certainly believe it's worth the extra money. Every guide client I've had has been blown away by the difference once I slide a tungsten weight on their line. With all of that being said, all tungsten is not created equal. I've used some really bad stuff in the past that resulted in broken lines, lost fish and wasted money. I've been testing the WOO! Tungsten Flipping Weights lately, however, and I've quickly become a big fan of them. I'll quickly go through my favorite features of this impressive bass fishing weight. Line damage is one of the most common complaints you'll hear associated with tungsten weights. 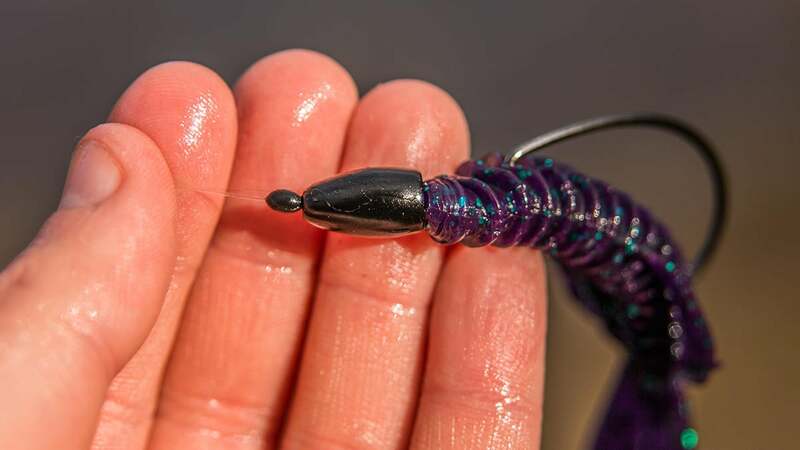 If the manufacturer doesn't take extra care smoothing all of the weight's edges, you'll be left with a significant amount of line fray which will result in lost fish when you set the hook. 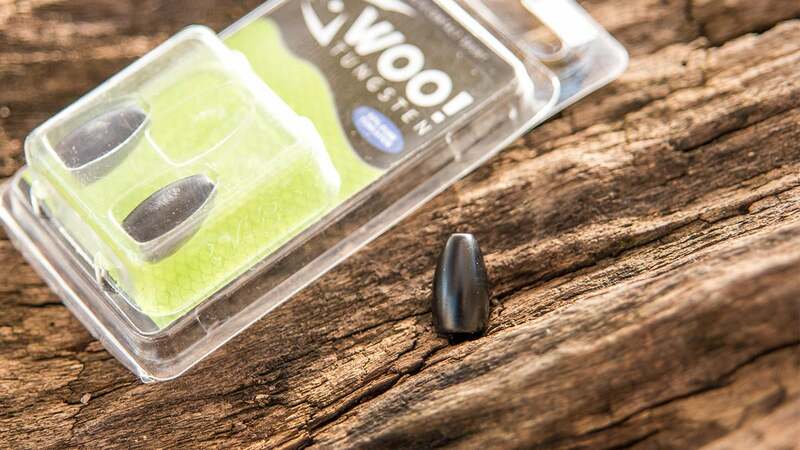 If you're using jagged tungsten, you might as well take a pocket knife to your line. I've tested the WOO! Tungsten Flipping weights on fluorocarbon, braided line and monofilament with outstanding results. This is one of the smoother tungstens I've used and there has been absolutely zero line damage to speak of. I have threaded it onto all three types of line and vigorously slid it back and forth for minutes at a time and have not witnessed any fraying. The same holds true for typical bass fishing applications, too. I've caught a lot of fish on these weights thus far and haven't lost a single one due to line failure. That peace of mind is important to me. I've used several different tungsten brands over the years that have an odd, almost angular-type shape towards the bottom of the weight. This pronounced flare, in my opinion, can make fishing wood a bit difficult at times. It seemed like they got stuck in the forks more often than rounder-bodied tungsten, which constantly left me popping my life in a desperate attempt to free my bait. I really like the shape of these weights, though. They "fit" flipping and pitching baits wonderfully and they come through wood very well. I've put 'em in the gnarliest wood I can find and they come through with ease. Efficiency certainly hasn't been an issue throughout my testing. I can't tell you how many times I've bought tungsten, rigged it up and within 30 minutes I'm noticing sizable chips in the paint. Whether it decreases your chances of getting bites is up for debate, but for me, it's more of a matter of principle. Tungsten isn't cheap and if I'm going to pay for it, I expect it to last. I can comfortably attest to the durability of the WOO! Tungsten Flipping Weights, though. I have purposely hit them on seawalls, rocks and dock posts while testing them and haven't managed to chip a single one yet. I have spent a lot of time with both the black and green pumpkin-colored weights and the results have remained the same: No chipping to speak of. This is legitimately impressive tungsten. I've blown a lot of money on tungsten weights over the years but I have a feeling those days are coming to an end. The WOO! 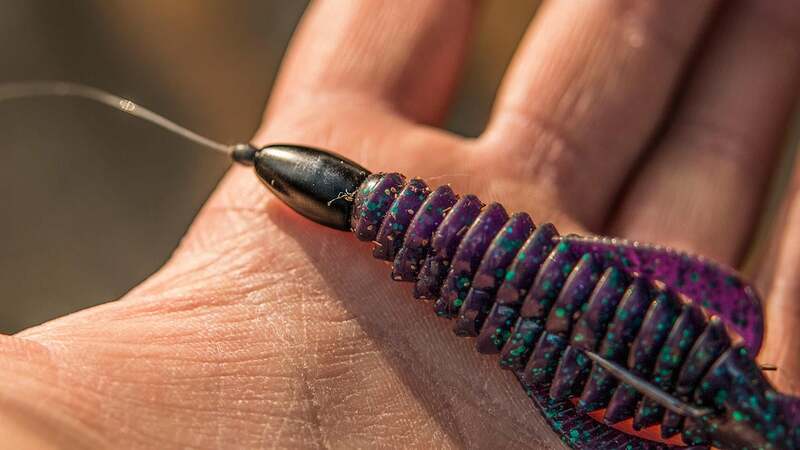 Tungsten Flipping Weights are competitively priced and come in every size you could possible imagine, from 1/16-ounce all the way to 2-ounce sizes. 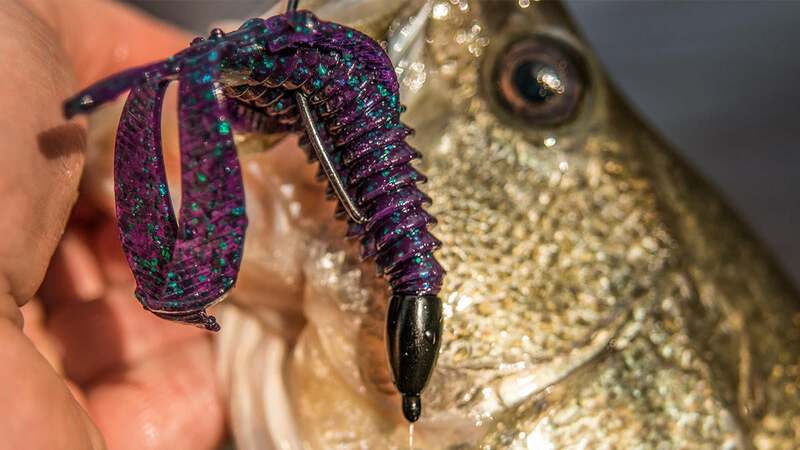 If you're looking for some new tungsten, don't sleep on these weights. WOO! Tungsten Flipping Weights are available at TackleWarehouse.com.